Thank you so much for visiting my website today! I have two super healthy recipes for you to try out this week. A dinner recipe with fish and a super flavorful breakfast recipe. Enjoy! 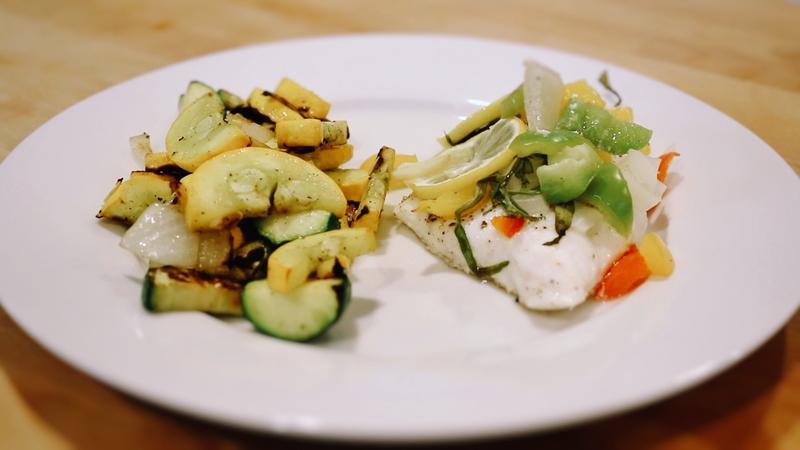 This no fuss fish and veggie recipe is delicious and super simple! The use of parchment paper to steam the fish keeps everything moist and tender. It is common in restaurants to actually serve the fish still wrapped up inside the parchment paper. 2. Season cod on both sides with 1 pinch salt and 1 pinch pepper. 3. Place cod in the center of a 12 x 12-inch square of parchment paper. Top with garlic. Set aside. 4. Season vegetables with remaining pinch salt and remaining pinch pepper; arrange on top of cod. 5. Top vegetables with lemon and herbs; drizzle with oil and wine. 6. Fold parchment in half over cod, crimp edges using overlapping ½-inch folds to form a tightly sealed half-moon shape. 7. Place parchment packet on baking sheet. Bake for 12 minutes, or until cod is cooked through. A thermometer poked through the package into the thickest part of cod should read 145º F.
8. Place the packet directly onto a serving plate, cut top open, discard lemon and herbs; enjoy! 1. Heat oil in medium nonstick skillet over medium heat. 2. Add asparagus; cook for 5 to 7 minutes, turning occasionally, or until tender-crisp. Set aside. 3. Bring water to a boil in medium saucepan over medium-high heat. Add lemon juice; reduce heat to maintain a gentle boil. 4. Place one egg into a small bowl. Hold bowl close to the water’s surface and slip the egg into the water, repeat with remaining egg; cook for about 3 to 4 minutes, or until whites are completely set. Gently lift eggs out of water. 5. Spread each piece of toast with 1 Tbsp. Lemon Garlic Sauce. 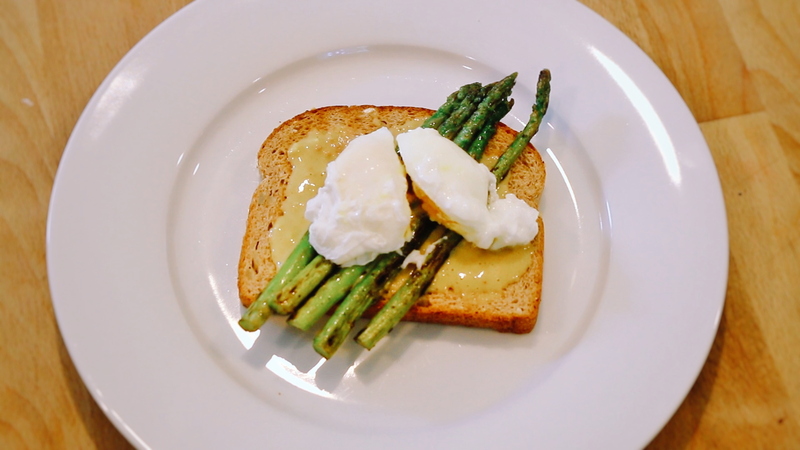 Top with five asparagus spears, one egg, and pepper (if desired). 1. Combine lemon juice, egg yolk, garlic, and mustards in a small bowl; mix well. 3. Slowly add oil, whisking continuously until well blended. I hope you enjoy both of these recipes. Let me know if you have any questions and what you think if you do try them! !